In the past 26 years I have been in the industry, fertility technology has advanced in massive leaps and bounds. When I started working in reproductive medicine, options such as frozen donor eggs didn’t exist, and pregnancy rates had not elevated to the numbers we have today. The multitude of family building options available to patients today have made the timing, method and cost of treatment customizable and convenient. These advances are largely due to the fine-tuning of cryopreservation, known more simply as “freezing” of both eggs and embryos. Historically, slow-freezing has been the most widely used method used with eggs and embryos. In the mid-eighties, reproductive medicine celebrated the first live births using this technique. Since then, a more advanced freezing method known as vitrification has replaced traditional slow-freezing methods. 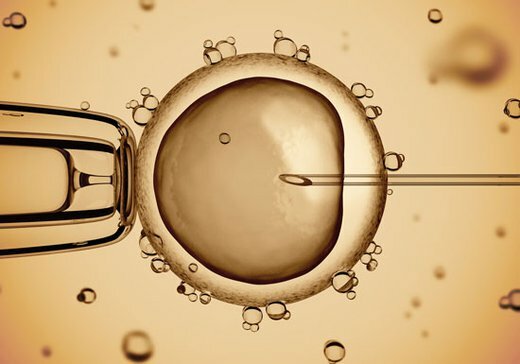 The advent of this technology has brought about a complete revolution in the field of cryopreservation within assisted reproductive technology (ART); but it was a long time coming. Currently, vitrification is the most commonly utilized approach for the freezing of both eggs and embryos in many in vitro fertilization (IVF) labs worldwide. So how is the process different? And why does this change everything in reproductive medicine? Slow-freezing methods could not prevent the potential forming of ice crystals in eggs and embryos, which could damage the viability of eggs and embryos during the thaw process. During the vitrification process, eggs and embryos are exposed to extremely high cooling rates in a liquid culture medium containing cryoprotectant, thus avoiding ice-crystal formation. This protection against ice-crystal formation has increased survival rates during the thaw process. The very first successful report of a birth following egg vitrification was published in 1999, with subsequent reports in 2000, 2001 and 2003. By using higher concentrations of cryoprotectant than originally calculated for the slow-freezing methods, then carefully customizing cryoprotectant concentrations and testing for effectiveness, the vitrification method has now become standardized. This process has been gradually adopted with minor modifications over the past seven to eight years, and has been shown to be the most efficient method to date for low-impact egg and embryo freezing. The process for egg freezing as it currently exists, while highly successful in the right hands, remains extremely dependent on the skills of key individuals able to undertake the technical rigors of this demanding procedure. Further evolution of the process, as with all techniques within ART, will continue to be improved upon and standardized in order to spur widespread adoption throughout the reproductive field. As this happens, the industry will achieve more widespread consistency from lab to lab. Donor Egg Bank USA is at the proverbial ‘cutting edge’ of this technology, and intends to keep themselves there by helping to explore the way ahead. Dr. Michael Tucker, a world renowned embryologist has been involved in the field of reproductive medicine and embryology for over 26 years. He is responsible for the first baby in the world using frozen donor eggs, and the first baby in the U.S. (2nd in the world) using the instracytoplasmic (ICSI) technique and using donor eggs.